Three hours in a canoe. Sounds like a bad first date, a sub-par reality show, or a game risqué teenagers play, right? In fact, it’s none of the above. It is actually a bit of hiring advice a client recently shared with me. Here’s the very simple counsel: don’t hire anyone you wouldn’t want to spend three hours alone with in a canoe. It’s pretty solid advice if you think about it. Work is full of difficulties: deadlines, miscommunications, competing goals, board meetings, donor mishaps, and the like. If you’ve hired someone you work well with, you can overcome these trials and tribulations together. But if you’ve hired someone you don’t get along well with or don’t respect, well, one of you might end up going overboard. 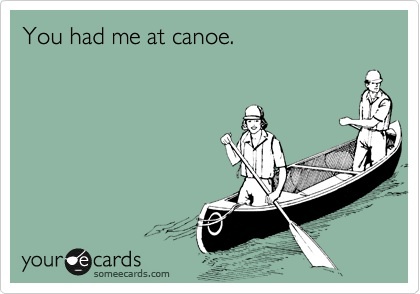 If the Three Hours In a Canoe Rule holds, so does the opposite. That is, don’t hire someone simply because you would want to spend three hours alone with him in a canoe. Case in point, a friend of mine tells the story of a gentlemen her organization hired because everyone adored him. He was witty, charming, high energy, and infinitely intriguing. 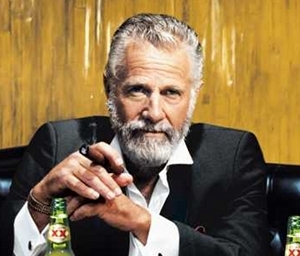 Let’s just call him The Most Interesting Man in the World. Well, it’s a good thing people liked him because it turns out he wasn’t worth a hoot on the job. Sure, everyone wanted to go to happy hour with him after work, but that was about the only value he added to the organization. In retrospect, the hiring managers realized they had swooned over him during the interview process and overlooked some critical flaws. Instead of paying attention to the substance of his answers, they had focused on his humor and charisma – your classic case of all sizzle and no steak. In the end, The Most Interesting Man in the World became The Most Unemployed Man Inside the Beltway. And the organization was better off because of it. Alas, next time you make a hire, remember the Three Hours in a Canoe Rule and its opposing directive.